Although this year’s weather hasn’t been the most predictable, harvest at Biddenden Vineyards is now nearly halfway complete. Picking began on 27th September with Ortega, the variety for which Biddenden is best know and which accounts for around half of the vineyards. The cool weather towards the end of June meant that not all of the grapes set evenly and so ripening through some varieties has occurred at different times. Despite this, Biddenden is pleased with the harvest so far, and although the Ortega is slightly down on previous years, varieties such as Reichensteiner which as part of the blend for Biddenden’s sparkling wine have fared well with a full crop being taken. Harvest will continue through to early Novemeber, with the later ripening white varieties as well as red grapes such as Pinot Noir and Dornfelder. Although this year does not look to be the biggest crop, with a bit of sunshine over the next couple of weeks, paired with a good amount already picked, 2012 is looking to be a much more positive harvest than had originally been thought. Free vineyard tours will be running on selected dates throughout harvest, giving visitors the chance to find out more about how and when the grapes are harvested. 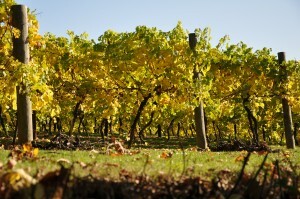 For further information please visit www.biddendenvineyards.com/visiting-us or call the vineyard direct on 01580 291726.